The National Highway Traffic Safety Administration, which has authority to seek recalls, issue fines and set regulations, said Saturday that it will send a "field team" to Delray Beach, where 50-year-old Jeremy Beren Banner was killed in the crash Friday. 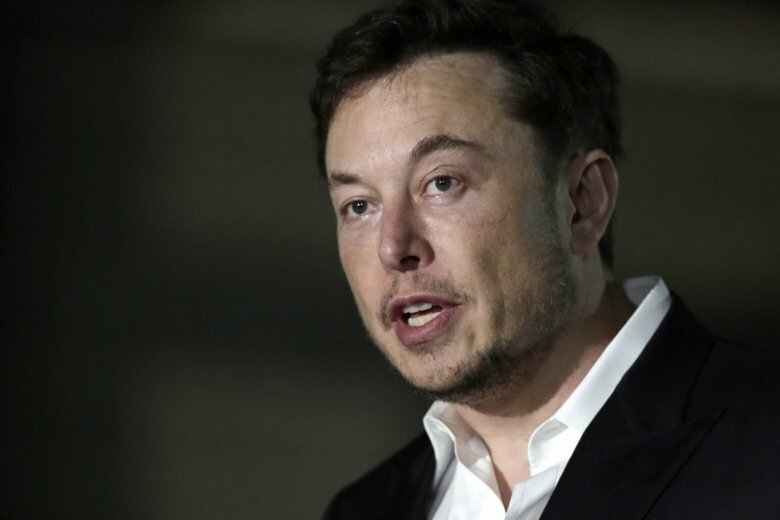 DETROIT (AP) — A second federal agency is dispatching investigators to a fatal crash involving a Tesla electric car that drove beneath a semitrailer that was crossing a Florida roadway. The National Highway Traffic Safety Administration, which has authority to seek recalls, issue fines and set regulations, said Saturday that it will send a “field team” to Delray Beach, where 50-year-old Jeremy Beren Banner was killed in the crash Friday. The crash is eerily similar to another one involving a Tesla in 2016 near Gainesville, Florida. A different agency, the National Transportation Safety Board, said Friday that it would send a three-person team to the crash. The NTSB makes recommendations to prevent crashes. Both agencies likely will be looking into whether Tesla’s Autopilot semiautonomous driving system was in use on Banner’s Tesla Model 3 at the time. Neither agency could say Saturday whether the system was in use. NHTSA said in a statement that it “will take additional actions if appropriate,” without specifying what those actions could be. The agency also said it has an investigation underway into a Feb. 24 fatal crash and fire involving a Tesla Model S sedan in nearby Davie, Florida. Terry Williams, a spokesman for the NTSB, said he did not know yet exactly what the agency will be investigating. “We’re looking at everything at this point,” he said. A report on the Delray Beach crash by the Palm Beach County Sheriff’s Office said the tractor-trailer was making a left turn onto a divided highway to head north when the southbound 2018 Tesla Model 3 hit the semi’s driver side, tearing off the Tesla’s roof as it passed under the trailer. The report didn’t say whether the Autopilot or automatic emergency braking systems were working at the time. A Tesla spokeswoman would not comment Saturday. The company said in a statement Friday that it’s cooperating in the investigation. The circumstances of the crash are much like one that occurred in May 2016 near Gainesville, Florida. Joshua Brown, 40, of Canton, Ohio, was traveling in a Tesla Model S on a divided highway and using the Autopilot system when he was killed. Neither Brown nor the car braked for a tractor-trailer, which had turned left in front of the Tesla and was crossing its path. Brown’s Tesla also went beneath the trailer and its roof was sheared off. The NTSB, in a 2017 report, wrote that design limitations of Autopilot system played a major role in the fatality, the first known one in which a vehicle operated on a highway under semi-autonomous control systems. The agency said that Tesla told Model S owners that Autopilot should be used only on limited-access highways, primarily interstates. The report said that despite upgrades to the system, Tesla did not incorporate protections against use of the system on other types of roads. The NTSB found that the Model S cameras and radar weren’t capable of detecting a vehicle turning into its path. Rather, the systems are designed to detect vehicles they are following to prevent rear-end collisions. General Motors has a similar system called “Super Cruise,” but it works only on limited-access highways with no cross traffic. Tesla has said that Autopilot and automatic emergency braking are driver-assist systems, and that drivers are told in the owner’s manual that they must monitor the road and be ready to take control. In January of 2017, NHTSA ended an investigation into the Brown crash, finding that Tesla’s Autopilot system had no safety defects. But the agency warned automakers and drivers not to treat the semi-autonomous driving systems as if they could drive themselves. Semi-autonomous systems vary in capabilities, and Tesla’s system can keep a car centered in its lane, brake to stop from hitting things and change lanes when activated by the driver. Williams said he did not know if the NTSB will incorporate the Delray Beach crash into other Tesla investigations from last year. Investigators are probing a fatal March 2018 crash involving a Tesla SUV near Mountain View, California. That vehicle was operating on Autopilot. In addition, the NTSB is investigating the crash of a Model S that may have been using Autopilot when it hit a parked firetruck on Interstate 405 near Los Angeles. The driver told authorities the Autopilot was working. NHTSA also is looking into a May 11 crash involving a Tesla Model S near Salt Lake City. Autopilot was in use when the car hit a stopped fire department truck.